The American astronomer Edwin Powell Hubble (1889-1953) established the scale of the universe and laid the observational basis for the cosmological theory of the expanding universe. 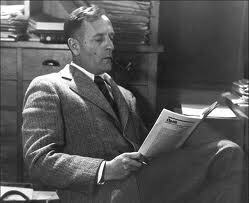 Edwin Hubble was born on Nov. 20, 1889, in Marshfield, Mo., where his father, a lawyer, was in the insurance business. Hubble received scholarship aid to go to the University of Chicago. He chose law for a career, and after receiving his bachelor's degree in 1910, he went as a Rhodes scholar to Oxford University, England. In 1913 he returned to the United States, was admitted to the bar in Kentucky, and practiced law for about a year in Louisville. Quite suddenly, Hubble decided that he would devote his life to astronomy, and in 1914 he left for the University of Chicago's Yerkes Observatory in Williams Bay, Wis. In 1917 he completed his doctorate and enlisted in the infantry. He served in France as a line officer in the American Expeditionary Force. As a student at Chicago, Hubble had attracted the attention of the well-known astronomer G. E. Hale, and after the war Hale offered him a staff position at Mount Wilson Observatory near Pasadena, Calif. Except for the period 1942-1946, when Hubble was with the Ordnance Department in Aberdeen, Md., he was connected with the Mount Wilson Observatory for the rest of his life. Hubble's early observations at Mount Wilson were made with its 60-inch reflecting telescope and concentrated on objects within our own galaxy, for example, novae, nebulous stars, and variable stars. Gradually he began to observe more distant objects. To determine the distances of the spiral nebulae (galaxies), he used Cepheid variable stars. This method derived from Henrietta S. Leavitt's 1912 discovery that the period of variation in the intensity of these stars is directly related to their absolute magnitude, so that by measuring the former, one may easily determine the latter. By knowing the star's absolute magnitude and measuring its apparent magnitude, its (relative) distance may be readily calculated from the inverse-square law. In 1923 Hubble definitely recognized a Cepheid variable in the Andromeda Nebula, known to astronomers as M31. Others were soon found in M31 and its companion nebula M33. To obtain his photographs, Hubble used Mount Wilson's 100-inch telescope. Once he had located the variables and determined their periods and apparent magnitudes, he used Leavitt's period-luminosity relationship to determine their distances. He concluded that the great spiral Andromeda Nebula is roughly 900,000 light-years away, a fantastically large distance, placing it clearly outside our own galaxy and proving that, in general, galaxies are islands in the universe. To allow for interstellar absorption, Hubble's distance estimate had to be later reduced to roughly 750,000 light-years, a figure that stood until shortly before Hubble's death. Hubble continued to determine galactic distances and to study galactic characteristics. By 1925 he had enough observations to propose a scheme for their classification: he imagined concentrated, very luminous, spheroidal galaxies to merge into ellipsoidal ones, which in turn branched into "normal spirals" on the one hand, and "barred spirals" on the other. Hubble tended to avoid drawing evolutionary conclusions from his scheme, but it was clearly very suggestive in that direction. Furthermore, it proved invaluable in statistical studies of the universe. At the time of his death, Hubble was attempting to revise his scheme in order to make it more complete. In the late 1920s Hubble laid the observational groundwork for the most spectacular astronomical discovery of this century: the expanding universe. V. M. Silpher had, over a period of years, made spectroscopic observations on tens of nebulae (galaxies) which indicated, on the basis of the Doppler shifts recorded, that these nebulae were receding from the earth at velocities between roughly 300 and 1,800 kilometers per second. Hubble realized the great importance of Silpher's observations for cosmological theories and organized a plan for measuring both the distances and (radial) velocities of as many galaxies as possible, down to the faintest ones detectable with Mount Wilson's 100-inch telescope. While an assistant, M. L. Humason photographed galactic spectra and analyzed the observed Doppler shifts. Hubble photographed the galaxies themselves, searched for Cepheid variable stars, and computed the distances to the galaxies. By 1929 Hubble had distance data on Silpher's nebulae and announced what became known as Hubble's law: the velocity of recession of a galaxy is directly proportional to its distance from the earth. By the early 1940s this law had been confirmed for galactic velocities up to roughly 45,000 kilometers per second, corresponding to galactic distances up to roughly 220 million light-years. During the 1930s Hubble became more and more cautious over the interpretation to be placed on the observed Doppler displacements, preferring to refer to them by the neutral (theory-free) term "red shifts." Thus, if at some future time these red shifts were found to be due, not to recessional velocity, but to some presently unknown physical law, the term "red shift" could still be retained as a description. After World War II Hubble devoted a great deal of time to planning the research program of the 200-inch Hale telescope at Mount Palomar; he was almost entirely responsible for conceiving and executing the National Geographic Society-Palomar Observatory Sky Survey carried out with the 48-inch Schmidt telescope. He received many honors, including a number of honorary degrees and medals, as well as membership in the National Academy of Sciences and other honorary societies. For his war research he received the Medal of Merit for 1946. In 1948 he was elected an honorary fellow of Queen's College, Oxford. He died of a coronary thrombosis in San Marino, Calif., on Sept. 28, 1953. In 1990, NASA launched the Hubble Space Telescope, which was named in his honor.